At GenCon this year, I had a chance to meet John S. R. Schutt. He’s a nice guy and an aspiring freelancer. 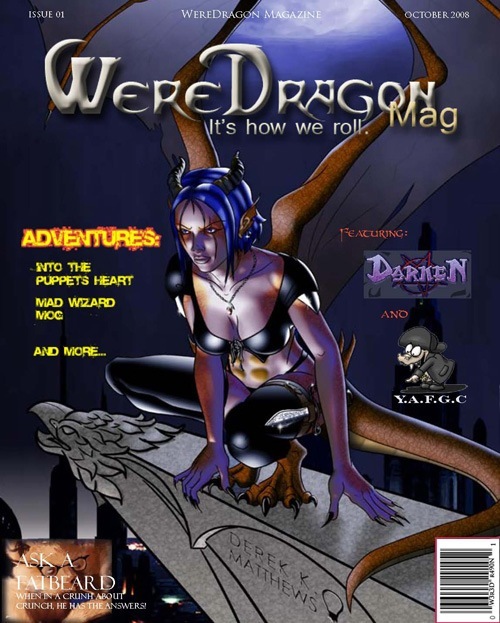 I got an email from him, telling me about his first gig for WereDragon Magazine. Called Into the Puppets Heart: The Otanshu Legacy, it’s got evil puppets, artifacts and creatures of the beyond. Sounds tasty, so I’m going to check it out. Anyway, congratulate Mr. Schutt and, if you have the time, check out his work. I’m sure he’d love some reviews. This entry was posted on Wednesday, October 29th, 2008 at 14:08 and is filed under Featured. You can follow any responses to this entry through the RSS 2.0 feed. You can leave a response, or trackback from your own site.